Professor PAI Obanya is a former Director at the UNESCO Regional Office for Education in Africa, Dakar, Senegal. In this interview with ABDUSSALAM AMOO, the Emeritus Professor at the University of Ibadan, immediate past Chairman of the Board of the West African Examinations Council (WAEC) and member of the Committee of Experts of Education International (EI) harps on the reforms in the education sector which include phasing out examinations. There are numerous challenges associated with education in Nigeria at various fora. What can be done about those? Those challenges are universal. One thing about education is that there is no society that doesn’t criticise its education because, education is like child rearing. You are looking towards perfection, to which you can never be perfect. So, you say in Britain, “Black paper on Education”. That’s as opposed to government’s White paper. You go to America, they are saying a book called “A nation at risk”. “This country is being overtaken by China and Korea because of our education.” So, there is never a time or a place you say one education is perfect. All those areas of challenges are just attempts to focus on how to structure that sector. But my experience over the years has been on how to structure discussions on education. Call it teachers; people would talk about quality and all that. So, it is a setup for studying an educational system. How do you make the policy? That’s the beginning of several others. How do you make sure that everybody has education – access and everything? How do you ensure that what they have actually improved their lot in quality and relevance? How are you sure that those in charge are doing the right thing? That’s teaching and learning. Now, this is a system that has to be managed in an efficient way but you need resources and there always not sufficient resources. 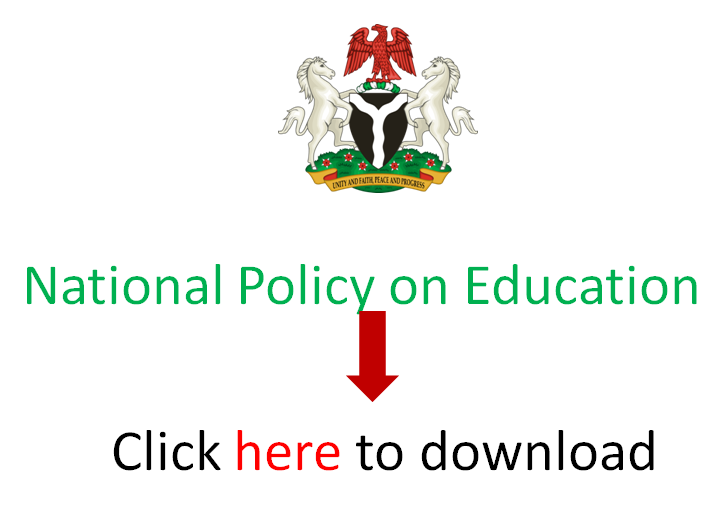 What exactly is lacking despite all such fora to forge a way ahead for education in Nigeria? In the case of Nigeria, the analysis has always been that two things are lacking. One is a refusal to go forward after the recommendations. Two, is the political game of just scratching things on the surface. You renovate schools and spend 10 million naira on that. The day you are inaugurating the renovated school, you spend a hundred million naira and people call you an “action governor”. But you get into the school, and the teachers are not teachers, the equipments are not equipment, and no teaching and learning is taking place. Even when you go out, the place is overgrown with grasses. So, in the course of this, people want immediate propaganda again. People don’t just have the desire to go from talk to action. Like the education minister, you once said that there is nothing like the UNESCO 26% benchmark for education. Kindly expatiate on that. May I say that for eleven years of my life, I was Assistant Director General responsible for education in Africa. So, I’m talking first hand. UNESCO is an intergovernmental organisation. It does not say to anybody to go and do this. The countries get together and discuss how to go with the progress of education. Two, UNESCO is not a funding agency. So, it does not give you money. And because of that, the position is, every country evolves a system of sustainable funding of education. For that to be sustainable, you have to manage your resources well. You don’t waste on things that are not important. Within the education sector, you don’t say to people “no contribution from you at all” because contributions doesn’t have to be in cash. It can be in kind. Once you start planting and nurturing a seed, the education system would yield resources for you to continue to be buoyant. What can you say about the state of examining in Nigeria? I would say you don’t examine at all. You do assessment rather. It’s not examination where you divide people into “can learn” and “cannot learn”. Everybody is there to learn and everybody is capable of learning, if we allow teaching to take place. What would then replace examinations? Just remove it altogether. You institute assessment. Assessment means what it means. If you go to a doctor with a complaint, he would do an assessment. He provides remedial measures from there. It’s not like “Oh, this man has cancer. So, let him go and die”. That’s what examination does. Don’t you think that would affect examination bodies and their duties? It’s not about how they carry out their duties. We don’t even need them. So, what should then replace them? The school does its own thing. If you educate a child in America, once you leave high school, you get your diploma delivered by your principal. And yes, Americans are good. In essence, you’re saying that examination shouldn’t be a medium to test competency. (Cuts in) We don’t examination. We need assessment. Assessment doesn’t assess knowledge but the entirety of what goes into creating the knowledge and so on. Once you get the assessment, you take remedial action.